Rabbi Zalman Manela received his Semicha from Yeshivath Ohr Elchonon in 1972 by Rav Simcha Wasserman ZT"L.
Rabbi Zalman Manela founded the Chevra Kadisha Mortuary in Los Angeles in 1976. 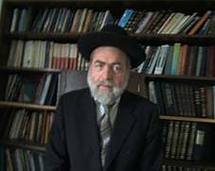 Rabbi Zalman Manela founded Pirchei Agudath Israel Youth Group in Los Angeles in 1967. He has recorded over 3,000 shiurim, all available online for free on our website. He has taught in Cong. Shaarei Tefillah, Jewish Learning Exchange, Yeshivath Toras Emes, Cheder of Los Angeles and also Cong. Tifereth Tzvi.